Fred’s Kids— Having received its 501c3 status as of January 2014, Fred’s Kids exists to be the hands and feet of US-based missionary support for various missions and projects overseen by Pastor Fred Otieno, a pastor and teacher following in his father’s footsteps in Migori, Kenya. Over time, Fred’s Kids has aided the Marindi Gospel Church and the Marindi Academy in making repairs, building new structures and obtaining supplies needed for daily activities. The simplest of things taken for granted by many American churches are of great need in Migori—for example, a concrete floor, rather than a dirt one, so that as congregants pray during the rainy season, they don’t kneel in the mud as the rain blows in through the open-air structure. A little goes a LONG way and is appreciated beyond measure. As well, Fred’s Kids has provided support to the outreach program of the church by funding missions into unreached people groups in Kenya to spread the Gospel of Jesus Christ. This support has led to the planting of five churches which have helped bring over 500 people to accept Christ and be baptized. Fred’s Kids’ goal is to continue to support Pastor Fred in his mission to change the future of Migori, Kenya, by focusing on the youth and next generation of Christians and leaders in the community. They will extend support to the pastors of the newly-planted churches so that they can have the resources to grow their churches, reaching further into surrounding communities as they continue to spread the Gospel. 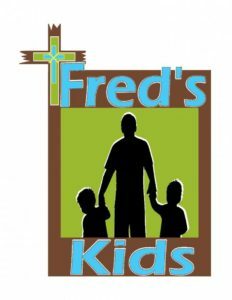 ​ For more information or to direct prayers specifically, please visit www.fredskids.org. Some of Fred’s most precious children!